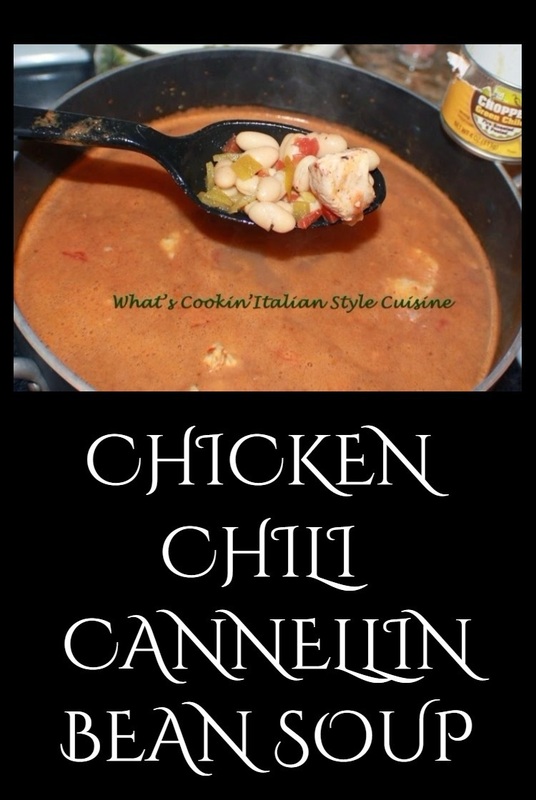 Chicken Chili Cannellini Bean Soup really hits the spot on a cold day and a favorite in cooler weather. Here is a fast easy, inexpensive way to feed many people in a group or family. 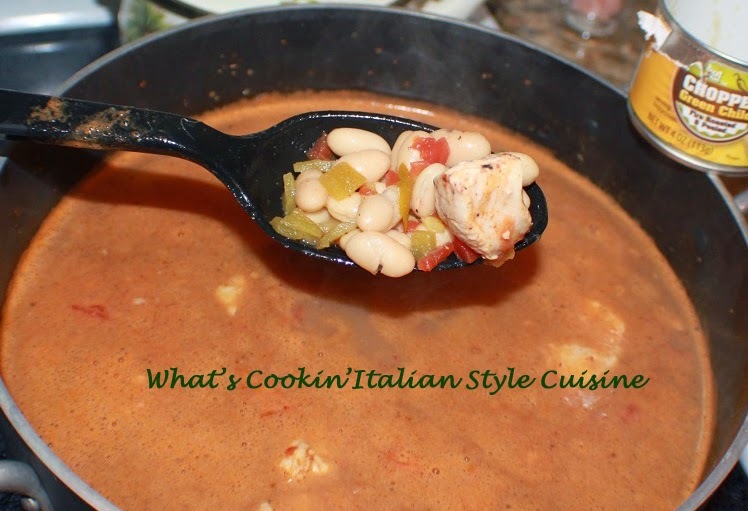 This is packed with flavor and when it's rainy and cold very much a go to recipe for me. 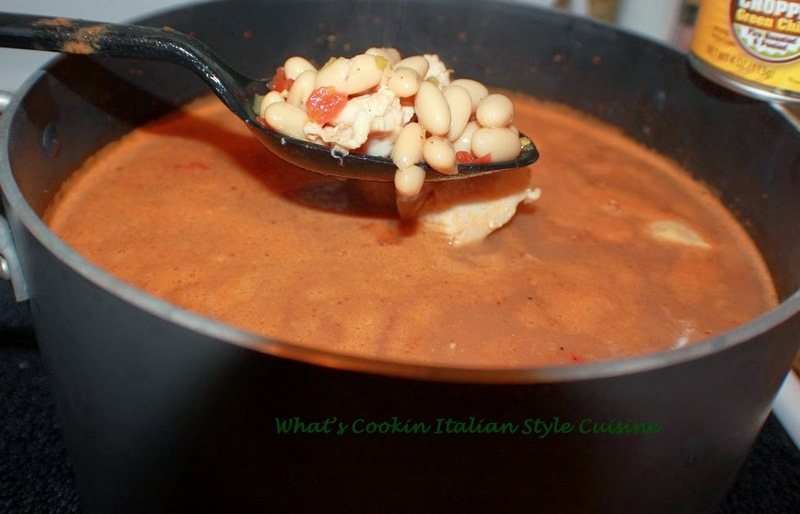 The flavor is somewhat like chili however the white beans, tomatoes and chicken makes this a whole meal. I personally like this with shredded mozzarella, garlic bread and a few sliced black olives on top. You can also serve this dish with cornbread or tortilla chips topped with extra sharp shredded cheddar cheese and sour cream it's all a match made in one heck of a great bowl of soup! Optional: add boiled cooked rice or elbow pasta to the pot of soup just before serving. Beans Beans Beans Made Fresh From Scratch! optional: add more chili powder and cumin around 1 teaspoon each or more to taste if like a stronger flavor. In a large sauce pot or slow cooker, add all the ingredients and simmer on low until the chicken is tender and falls apart. Top of stove around 2 hours time, cooking in the slow cooker around 6 hours on high.